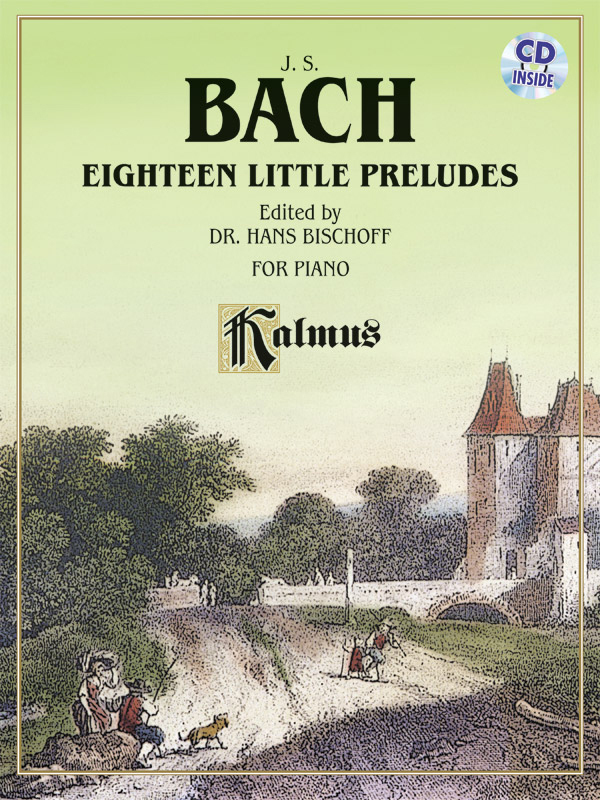 * This collection, edited by Dr. Hans Bischoff, consists of the Six Little Preludes, BWV 933-938, along with twelve preludes taken from The Little Piano Book (Clavierbuchlein) of Wilhelm Friedemann Bach. * Also included is an outstanding CD recording from the Alfred library. * Titles: Prelude No. 1 in C Major (BWV 933), Prelude No. 2 in C Minor (BWV 934), Prelude No. 3 in D Minor (BWV 935), Prelude No.4 in D Major (BWV 936), Prelude No. 5 in E Major (BWV 937), Prelude No. 6 in E Minor (BWV 938), Prelude No. 7 in C Major, Prelude No. 8 in C Major, Prelude No. 9 in C Minor, Prelude No. 10 in D Major, Prelude No. 11 in D Minor, Prelude No. 12 in D Minor, Prelude No. 13 in E Minor, Prelude No. 14 in F Major, Prelude No. 15 in F Major, Prelude No. 16 in G Minor, Prelude No. 17 in G Minor, Prelude No. 18 in A Minor.